The Wisconsin Intercollegiate Athletic Conference (WIAC) is a college athletic conference that competes in the NCAA's Division III. As the name implies, member teams are located in the state of Wisconsin, although there are three associate members from Minnesota and one from Illinois. All full members are part of the University of Wisconsin System. In 1913, representatives from Wisconsin's eight normal schools—Superior Normal School (now the University of Wisconsin–Superior), River Falls State Normal School (now the University of Wisconsin-River Falls), Stevens Point Normal School (now the University of Wisconsin–Stevens Point), La Crosse State Normal School (now the University of Wisconsin-La Crosse), Oshkosh State Normal School (now the University of Wisconsin–Oshkosh), Whitewater Normal School (now the University of Wisconsin–Whitewater), Milwaukee State Normal School (now the University of Wisconsin–Milwaukee) and Platteville Normal School (now the University of Wisconsin–Platteville)--met in Madison to organize the Inter-Normal Athletic Conference of Wisconsin. The Stout Institute (now the University of Wisconsin–Stout) joined in 1914, followed by Eau Claire State Normal School (now the University of Wisconsin–Eau Claire) in 1917. The conference evolved with the growing educational mission of its member schools. It changed its name to the Wisconsin State Teachers College Conference in 1926, and the Wisconsin State College Conference in 1951. Finally, in 1964, it became the Wisconsin State University Conference. In 1971, the member schools of the WSUC joined with the University of Wisconsin–Madison, University of Wisconsin–Parkside and Carthage College to form the Wisconsin Women's Intercollegiate Athletic Conference. By 1975, UW–Milwaukee, Carroll College, the University of Wisconsin–Green Bay and Marquette University had also joined. With the dissolution of the Association of Intercollegiate Athletics for Women in 1982, the member schools joined their male counterparts in either the NCAA or NAIA. By 1993, the non-NCAA Division III members had all dropped out, resulting in the WWIAC having the same membership as the WSUC. Under the circumstances, a merger was inevitable. In 1996, Gary Karner was named commissioner of both the WSUC and the WWIAC. The two conferences formally merged in 1997 to form the current WIAC. Effective with the 2001–02 academic year, Lawrence University joined the conference in the sport of wrestling. Three Minnesota schools, Gustavus Adolphus College, Hamline University and Winona State University, became members of the conference in the sport of women's gymnastics during the 2004–05 academic year. In 2009–10, the conference added men’s soccer as a sponsored sport with the announcement of Michigan school Finlandia University as an affiliate member. Lawrence discontinued its affiliation with the WIAC in wrestling. The conference remained unusually stable over the years; the only changes in full membership being the departures of UW–Milwaukee in 1964 and UW–Superior in 2015. The ninth-oldest conference in the nation, the WIAC celebrated its centennial year during the 2012–13 academic year. Additionally, the WIAC is the most successful NCAA Division III conference in history, boasting NCAA National Championships in 15 different sports. At the beginning of the 2011–12 academic year, the conference had claimed a nation-leading 92 NCAA National Championships. To celebrate its centennial, the conference named All-Time Teams in each sport that is currently or was previously recognized as a "championship" sport within the conference. Furthermore, the WIAC commissioned a commemorative work of art, created by Tim Cortes, and has also created a two-year calendar in celebration of its centennial. The celebration was headlined by its Centennial Banquet held on August 4, 2012, at the Alliant Energy Center in Madison, Wisconsin. Among the honorees at the event were the All-Time Team members and the inaugural class to the WIAC Hall of Fame. UW–Superior left the WIAC as a full member on July 1, 2015. They remain affiliate members for men's and women's ice hockey. 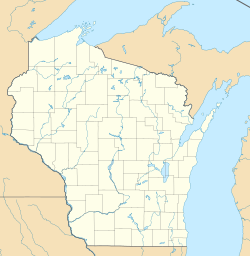 ^ Wisconsin–Superior had been a full member of the WIAC from 1913 to 2015. Member institutions field men's and women's teams in cross country, basketball, ice hockey, track and field, and swimming and diving. Men's teams are fielded for baseball, football, and wrestling. Women's teams are fielded for golf, gymnastics, soccer, softball, tennis and volleyball. ^ a b c d e f g h i j "The University of Wisconsin System Student Statistics, Fall 2016-17 Headcount Enrollment - Undergraduate Students". University of Wisconsin System. Retrieved October 24, 2017. This page was last edited on 22 April 2019, at 02:33 (UTC).